At three months old I'm still dressing G in babygrows most of the time. I've tried her in a dress, twice, but it spends most of the time up by her ears while her Simon Cowellesque tights with Nora Batty knees reveal the cartoons on her nappy. Not a good look. 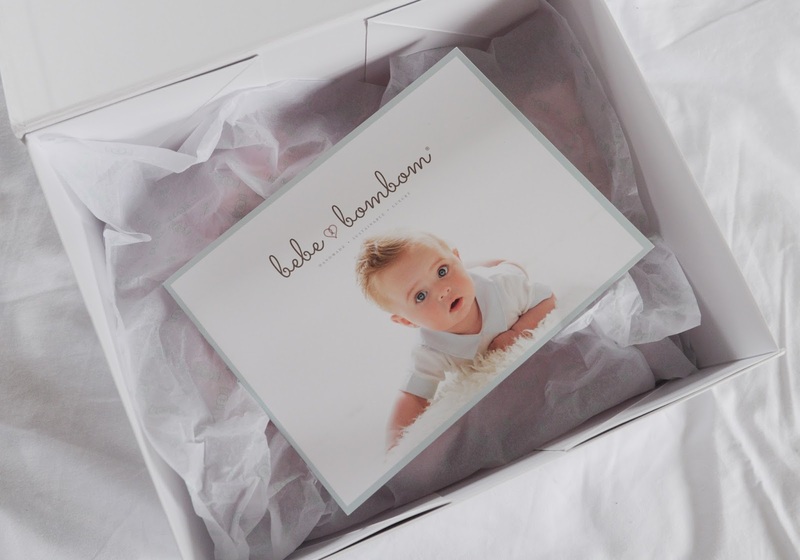 Certain events call for something a bit more special than a terry towelling babygrow, so I was excited to find Bebe Bombom, on Instagram, no less. 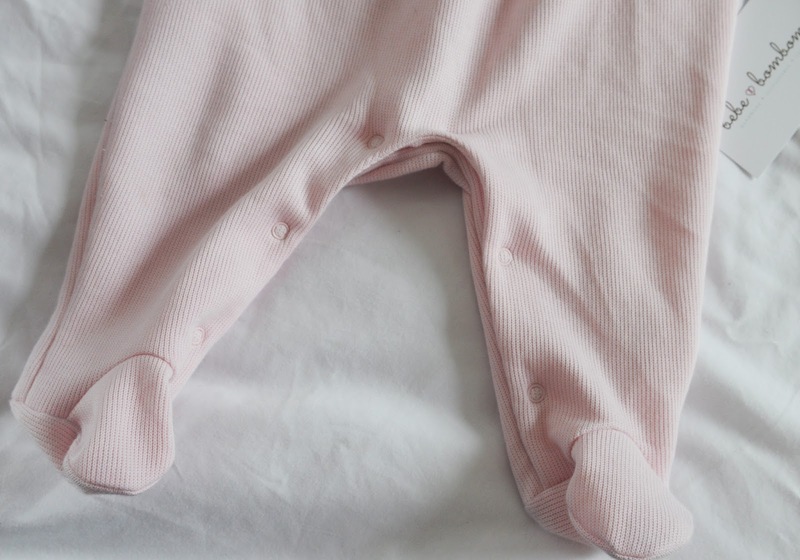 Beautifully soft Peruvian pima cotton, hand smocked, luxury babygrows that stand up to the most special of events, are really comfortable for her to wear and she doesn't end up drowning in dress fabric when she's passed from one adoring family member to another. The fabric is deliciously thick and keeps her warm, the bonnet is just the icing on the cake and really finishes the outfit for maximum cute appeal. I opted for pink because, well, I just couldn't resist but it comes in off white which would be perfect for a christening and a beautiful blue. The outfit opportunities don't end there, there's a matching bib and jacket, even a blanket. 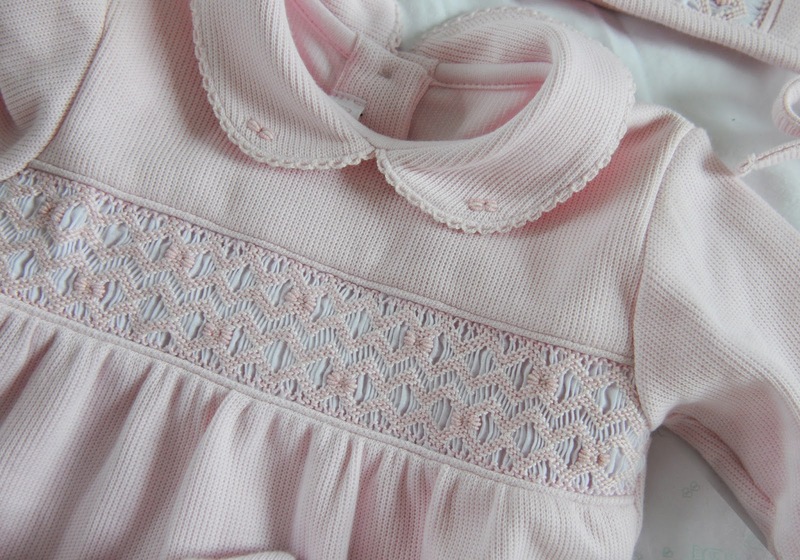 My mum saved her favourites from my baby wardrobe and I've really enjoyed dressing her in those, so I'll definitely be keeping this tucked away in the loft in its keepsake box, maybe in thirty years time it will be worn again. That idea feels pretty special. In the meantime, we've got a wedding to go and I'll be dressing her in it until we can't get those poppers done up! 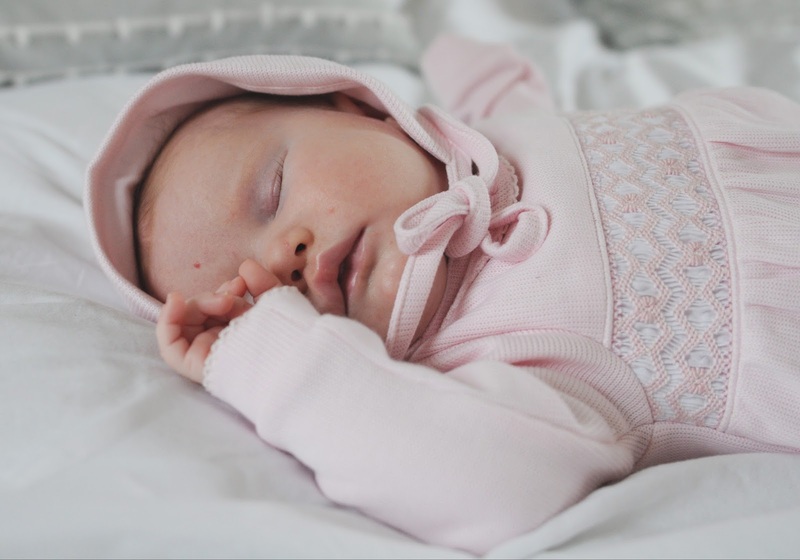 G wears the pink punto roma hand smocked baby grow and bonnet, find out more about Bebe Bombom here.